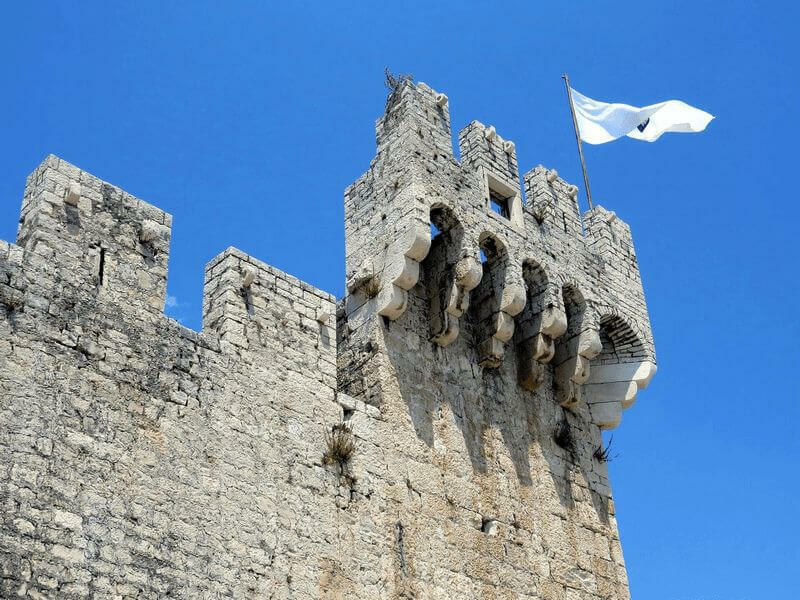 With our first class ship you can experience the greenest part of Croatia for one week: Not only the famous national parks of Dalmatia like Krka and Kornati or the nature park of Telašćica are part of this wonderful tour but also the medieval old towns of Šibenik, Zadar and Trogir. 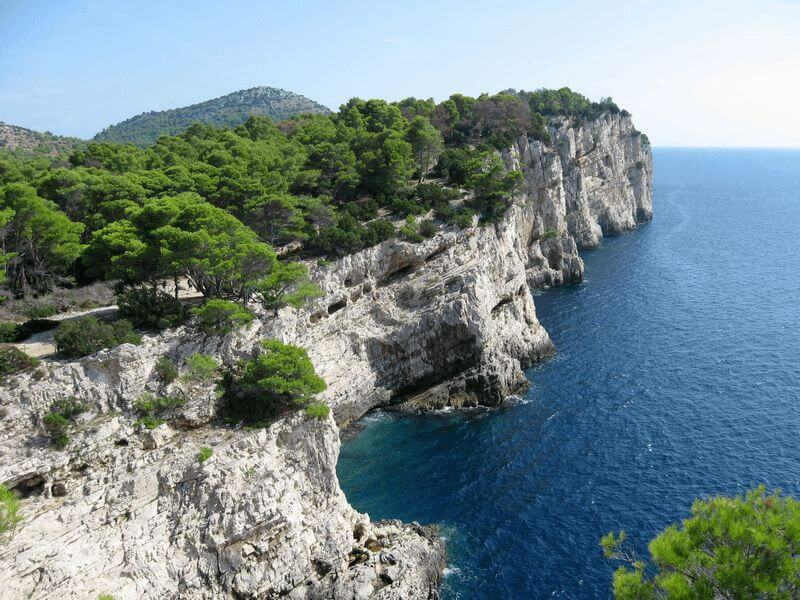 We also visit Dugi Otok – probably the most beautiful Middle-Dalmatian Island. This tour is part of the Plus-Program providing greatest possible comfort due to the offered space and a luxurious furnishing. On this tour one of our proud boats either Princeza Diana or Melody are your comfortable home. Roomy and elegantly designed cabins include bathrooms with separate shower cubicles, and a wide sundeck with plenty of space to relax on as well as a spacious, stylish designed salon invite you to enjoy the cruise. We reserve the right to make changes to the planned route due to changing wind and weather conditions, and where required by organizational necessities. The tour can also been operated in reverse order. 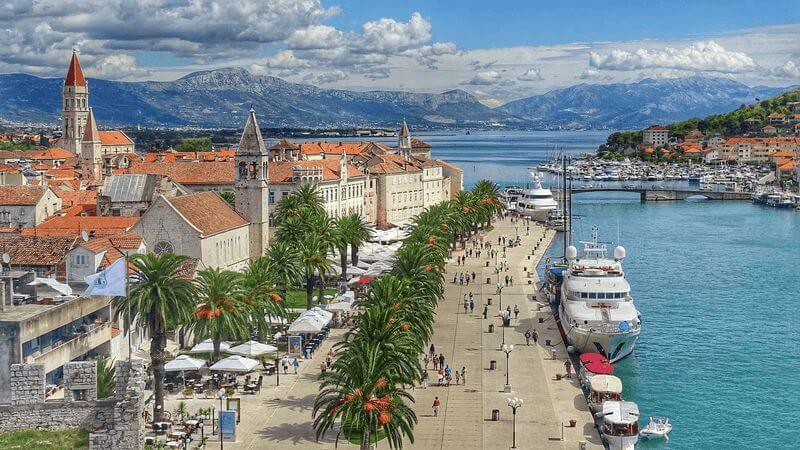 Individual arrival by car to Trogir or by plane to Split airport, which is about 3 mi./ 5 km away from the harbor of Trogir. 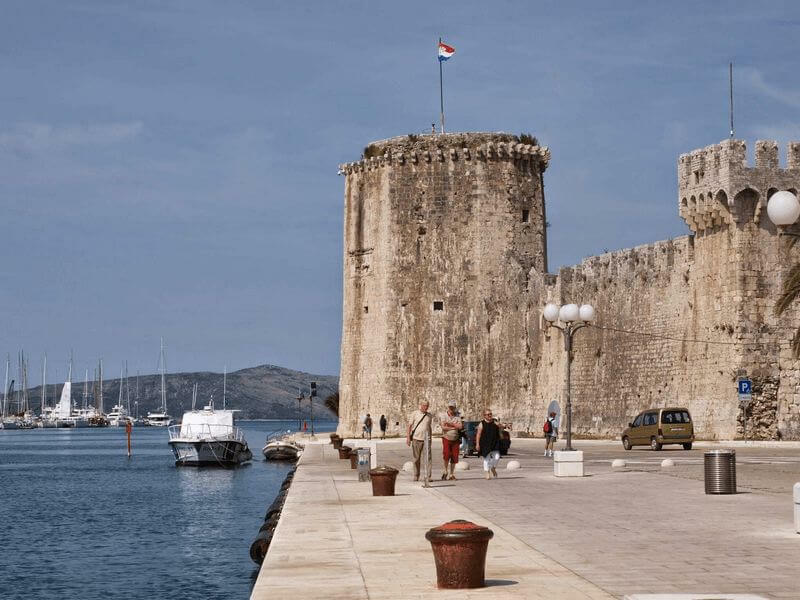 After checking in on the motor yacht (between 2 and 2.30 p.m.) we leave Trogir around 3 p.m. During the crossing to Rogoznica the fresh sea breeze can be enjoyed. Later in the afternoon there is time to adjust the bicycles. In the morning the boat takes us to Vodice. We go for our first cycle tour starting at the popular resort and soon we cross the bridge to the island of Murter. 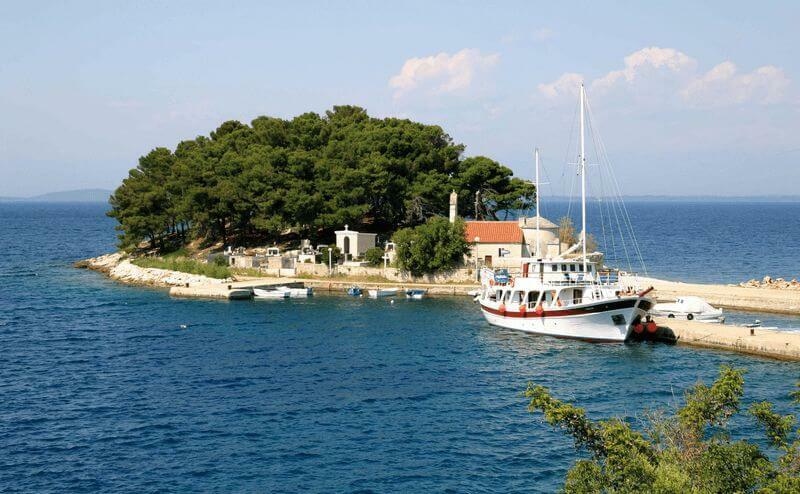 In Slanica, in the Northwest of the island the boat awaits us for the cross over to the island of Dugi Otok. On our way we pass the National Park Kornati – an archipelago in crystal clear water which is known for its rich underwater world. 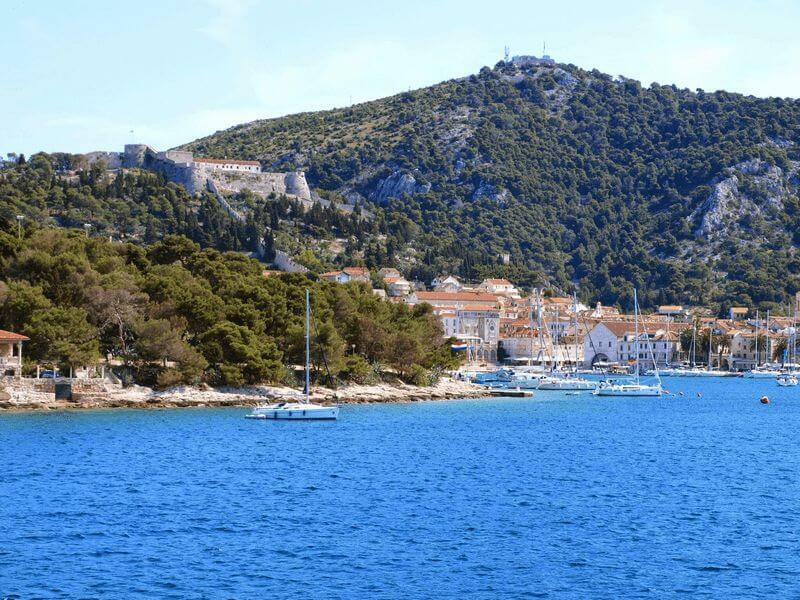 Our destination is the deeply incised Telašćica Bay. In the local nature park the Mir salt lake is situated. At the end of the day we take a short hike to the impressive cliffs before taking a short crossing by boat to the small seaside village of Sali for the night. During breakfast the boat takes us to Preko on the island of Ugljan from where we will ride to Tkon on the island of Pašman. The two islands are connected by a bridge from which the first of the Kornati Islands can be seen. We cycle along the east coast of the island, constantly in vicinity of the sea with views of the mainland. 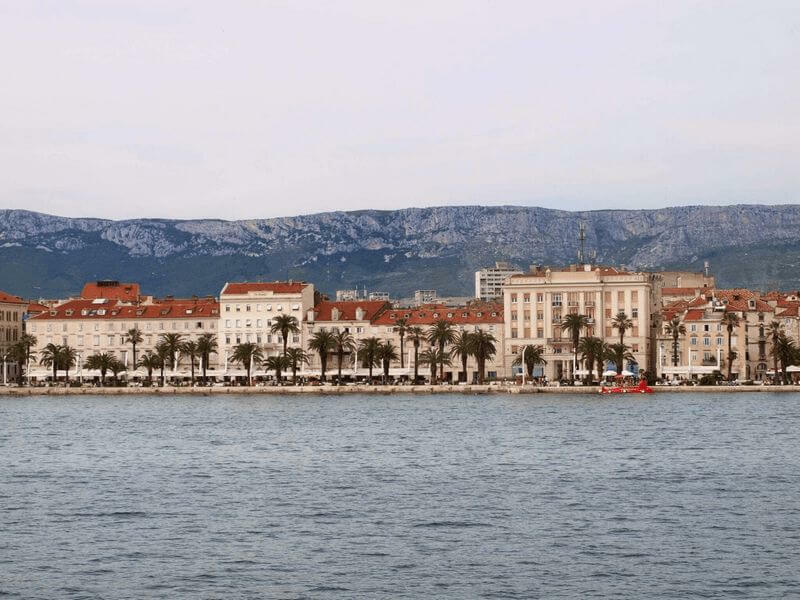 Once we arrive in Tkon, we board the boat and cross over to Vodice, a populare Dalmatian holiday destination on the mainland where we will spend the night. After breakfast it is time to discover the unique naturally formed waterfalls of the national park of the Krka-Canyon. 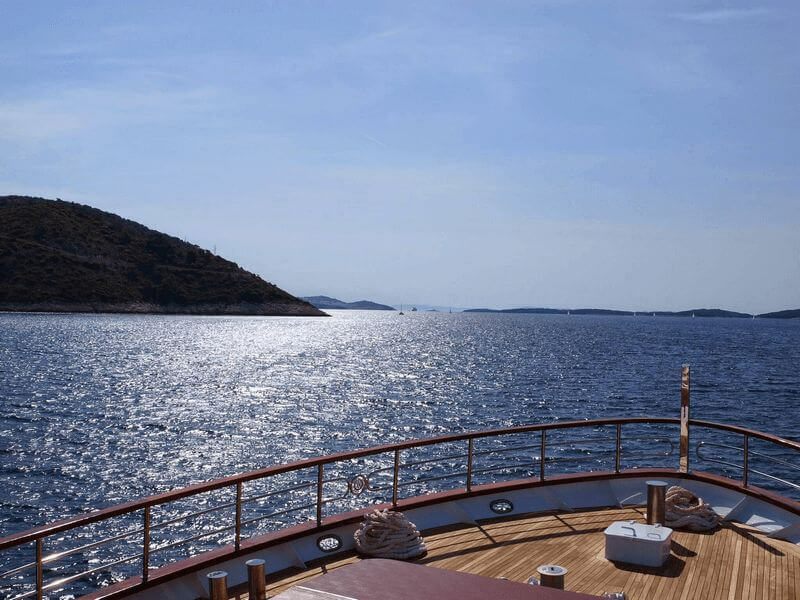 Afterwards the boat will take us to Šibenik out of the Krka river mouth and into the Adriatic. Here the Cathedral of St. Jacob is under UNESCO-World-Heritage protection and is regarded as the most magnificent sacral buildings on the Adriatic coast. The old town of Šibenik is bacons with its charm for an evening walk. In the late afternoon we cast off once more on board the boat and cruise to Primošten for the night. After breakfast disembarkation until 9 a.m. and individual trip home or extended stay in Croatia. The bicycle tours require a basic level of fitness from participants, which they should have acquired from steady cycling. The cycling tours fit in equal measure to cyclists with hybrid bikes or E-bikes. If a rental bike is used, you are kindly requested to decide either on a hybrid bike or on an E-bike before commencement of travel. The tours take you up to a height of between 200 and 500 m above sea-level. The daily tours from 15 to 31 mi./25 to 50 km lead you through hilly and mountainous terrain and will be completed without any time-constraints. Participants also need to master long and steep climbs. Streets are mostly asphalted and less traffic occurs during the off seasons. You are free to set aside a half or full day to swim or spend on board the boat, instead of taking a planned bicycle-tour. Helmets use is mandatory on all cycling tours. You are strongly encouraged to bring your own well-fitted helmet. Rental helmets are available on board in limited number (on request). We believe that only children in a good physical condition and with a minimum age of 10 and previous bicycle tour experience are able to master the bike-tours on their own strength. Please note that the minimum height for a rental hybrid bike is 1.20 m (4 ft.) and 1.50 m (4.9 ft.) for an e-bike. In Croatia there is a helmet duty for all children up to age of 16. We do not accept credit cards on board of our boats. Payments such as drinks, tourist taxes, parking spaces etc. can be made in cash only. The accepted currency on board is CASH, either in the countries local currency or in Euro. Your local guide will point you in the right direction of the nearest ATM or currency conversion office. Melody on: April 27; May 11 and 25; June 8 and 22; July 6, 20 and 27; August 10 and 24; Sept. 7 and 21; Oct. 5. Season 2: May 18 to and incl. Sept. 28. 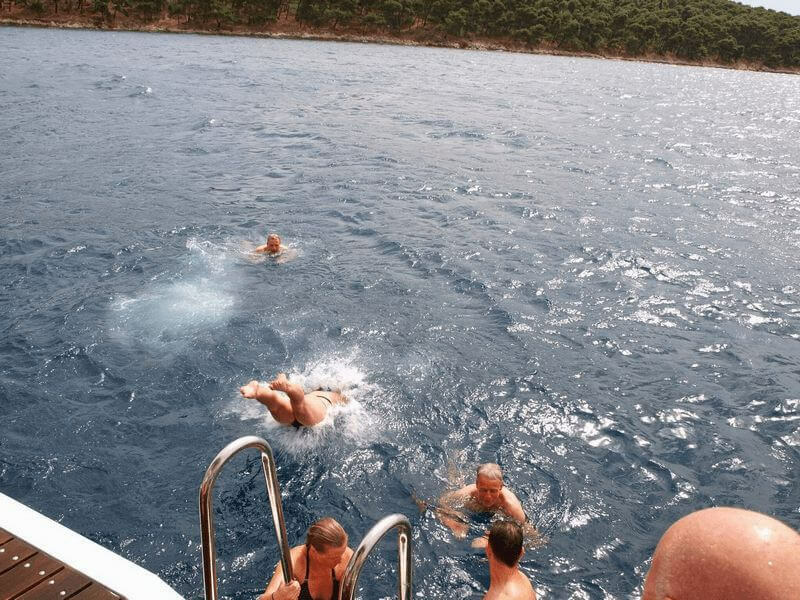 • With three persons sharing a cabin (Melody below deck only), we allow a 50 % discount on the basic tour price for the third person, regardless of age, and do neither charge the above-deck surcharge (Princeza Diana) for the third person. Three-bed-cabins are furnished with one double and a single bed. • Children up to age 16 receive a discount of 25 % on the basic tour price (not combinable with the 50 % discount); Surcharge for single cabin use will be added. Helmet use is mandatory on all bike rides. You are strongly encouraged to bring your own well-fitted helmet. Rental helmets are available on board in limited number (reservation requested). Please be aware, that we have a weight limit of 22 kg (48.5 lb), if you bring your own bicycle/e-bike on board of one of our boats. This limit is important to protect the health of our guides/crew members, than they have to lift the bikes on board. You will definitely feel like a celebrity when you step on board of the Princeza Diana. This 3-mast first class motor yacht is due to its variable cabin divisions with 2, 3 or 4 beds very family friendly. In total there are 16 elegantly furnished cabins that all are equipped with a shower and toilet. The large saloon and covered quarterdeck with upholstered seating are situated on the top deck and offer enough space for nice meals (inside or outside). There is also a sundeck with chairs and mats, and a platform at the stern which offers a comfortable way to get into the sea. All hybrid bicycles are equipped with a precise Shimano gear shift, Shimano V-brakes with strong “bite”, 28 inch hollow chamber rims with quick clambs, safety mudguards and a comfortable touring saddle of Selle Royal. Our hybrid bicycles are basic bicycles with trapeze frame or diamond frame that are available in four frame sizes: trapeze frame in 46 and 52 cm or diamond frame with top tube in 56 and 60 cm. 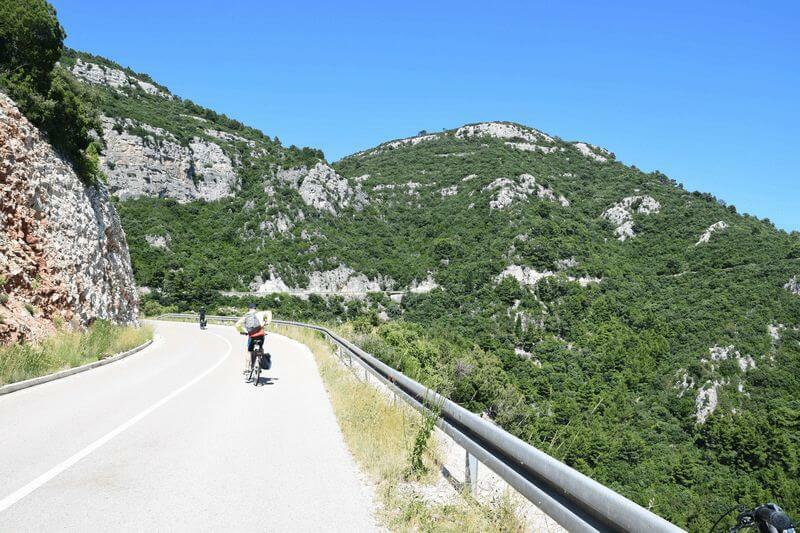 Please be aware that these rental bikes are only available for participants that are taller than 1.50 m.
The classy Melody was built in 2014-2015 and offers a wonderful accommodation to everyone traveling along the Dalmatian coast. Not only the 14 stylish passenger cabins, with a private bathroom and high quality matrasses on the beds, will impress you, also the comfortable lounge on the upper deck will make you happy. The highly experienced crew is there for your wellbeing and will make sure you have a pleasant stay. Do not forget to check out the whirlpool on the front deck. With a colorful cocktail in your hand of course! All normal bicycles are equipped with a precise Shimano gear shift, Shimano V-brakes with strong “bite”, 28 inch hollow chamber rims with quick clambs, safety mudguards and a comfortable touring saddle of Selle Royal. Our hybrid bicycles are basic bicycles with trapeze frame or diamond frame that are available in four frame sizes: trapeze frame in 46 and 52 cm or diamond frame with top tube in 56 and 60 cm. Please be aware that these rental bikes are only available for participants that are taller than 1.50 m.